Time to start going through your freezer pantry. What’s tucked in there? 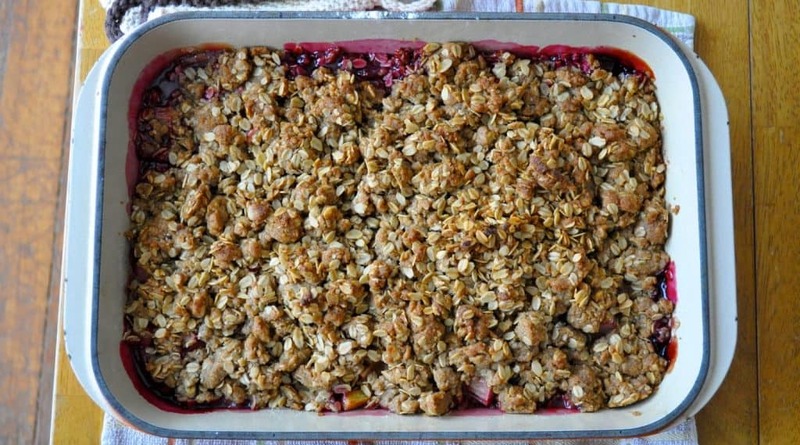 If you happen to have cherries and rhubarb why not make this Rhubarb Cherry Crunch? 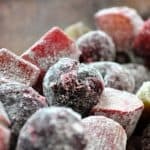 What do you need to use before it’s time to deep clean the freezer? What in the world is that thing? Oh hey why did I save this? I’ve got the freezer on my mind today because it gave a little heart startling reality check today. I was in the basement hauling out donations like no ones business when something glittery caught my eye. Was that water dripping from the ceiling, oh yes indeed it was. A quick panicked shout alerted everyone within a mile or so that we had water leaking from somewhere. It wasn’t from a water pipe it was coming through the floor. NOT THE NEWLY REFINISHED WOODS FLOORS!?! I thundered up the stairs and paced off the approximate footage to the leak and discovered it was coming from OH NO NOT THE REFRIGERATOR! Believe me by this time my heart was beating quite solidly as if I’d been doing some heavy cardio, alas no it was all adrenaline. And our fridge was leaking. More correctly the freezer was just starting to defrost and dripped out about 1/2 cup of water. Turns out I’d been rummaging yesterday and had lodged something just enough to keep it from shutting tightly. Whew crisis averted but now I have a nice plan (in my mind) to use up all the things I put up last summer to use someday like rhubarb, peaches, cherries and strawberries. Oh how I long for summer fruits, what about you? 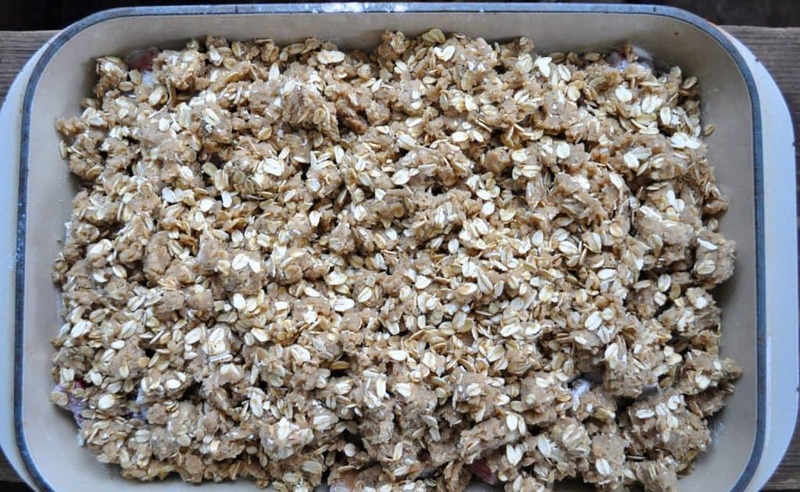 I made mine double size for a party and you can do that too, just double the recipe. I love to have reminders of summer tucked in the freezer but I need to remember now is the time to pull them out and use them. Why put them away if I’m not going to use them, that’s just silly. I usually try to do the big freezer defrost this time of year, because I can just set the contents outside while I get to work on the freezer, but THIS winter, it has been too warm to do that!! I'm still hoping to get it defrosted if it ever cools off.